Highest known oil in sesquiterpenes (98%), this is a hydrocarbon group found in essential oils. Sesquiterpene molecules deliver oxygen molecules to cells and because they are so small, have the ability to pass through the blood-brain barrier and oxygenate the brain directly upon inhalation. When essential oils high in sesquiterpenes are inhaled, there is increased activity in the pineal, pituitary and hypothalamus glands, which in turn increase growth hormone and melatonin production. Sequiterpene oils support memory recall. These oils also support the body’s response to inflammation. Cedarwood has a high antioxidant (ORAC) score of 169,000. Its scent is warm, mellow and woody – think of grandma’s cedarwood chest! Calming, grounding and supports the nervous system. Essential oils from trees have anchoring and stabilizing properties. Known for its purification properties. Used in purification ceremonies by high priests in the Bible. 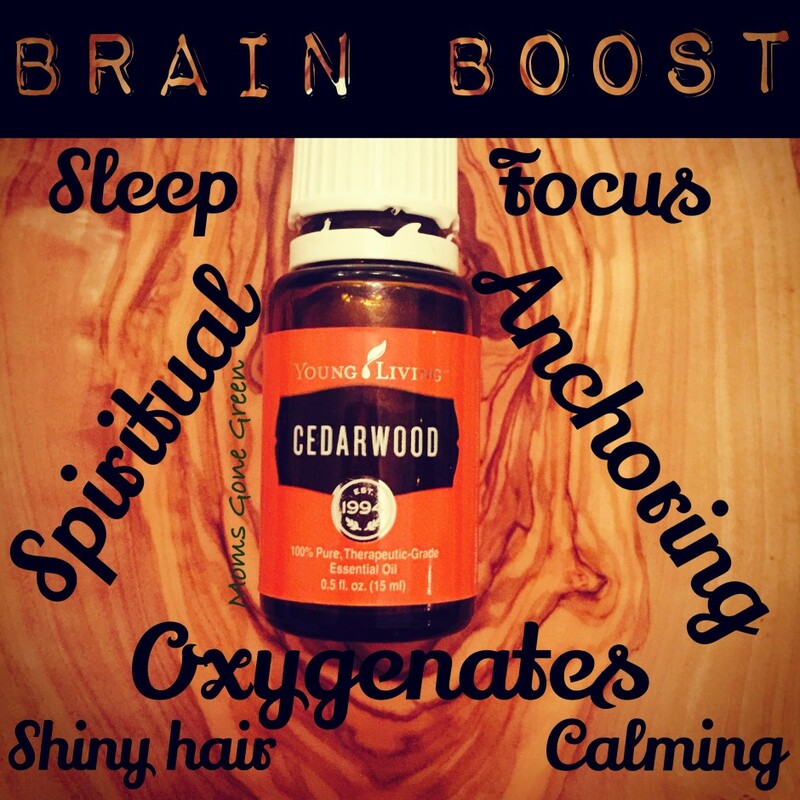 Cedarwood is a favorite of mine to use on Ava for everything from encouraging sleep and focus to support during cold and flu season. For me, I add a couple of drops to my shampoo and conditioner bottles. Now that I am in my 40s, my hair could use some TLC! I just love the woodsy, comforting, grandma’s cedar chest feel to this oil! I also add a few drops to strategically placed cotton balls to discourage moths!